History: (What If? II#26 (fb)) - As the Punisher was trying to get information from a junkie, Daredevil intervened and tried to stop the Punisher from torturing the man. To get Daredevil off of his back, the Punisher shot him with a tranquilizer dart, inadvertedly causing Daredevil to stumble off the side of the rooftop they were standing on and fall to his death. (What If? II#26) - Hearing the news of Daredevil's death, a criminal working for the Kingpin named Case arrived and informed the Kingpin of Daredevil's secret identity of Matt Murdock, having heard it from the morgue. While the Kingpin told his men what to do with the information, Spider-Man had arrived at the Nelson and Murdock law offices, asking if the story of Daredevil's death was true. Upon learning the truth, Spider-Man immediately set out to bring the Punisher to justice, feeling that he should have done so when the Punisher first came on the scene. Spider-Man soon found the Punisher scoping out a smuggling ring and made his presence known by webbing up the Punisher's gun. The criminals made a run for it and the Punisher managed to escape by leaving his gun webbed to the wall. To avenge Matt Murdock in his own way, Foggy Nelson soon went to Ben Urich with information connecting several City Councilmen to organized crime and Urich immediately wrote the story and had it on the newsstands the next day. That night, Spider-Man once again interrupted the Punisher while he was interrogating a criminal working for Injun Joe by punching the Punisher down. Cornering the Punisher, Spider-Man jumped at him only to be shot by him. 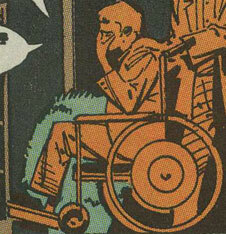 The Punisher then escaped while Spider-Man left to get medical attention, only to fall from his webs due to the injury. 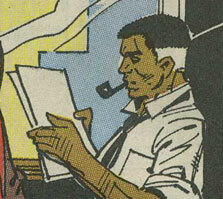 The next day, Ben Urich spoke with Joe Robertson about the City Councilmen story and when they went to meet J. Jonah Jameson about it, Jonah replied that they would have to replace page one, as he had just discovered that Peter Parker was Spider-Man after Spider-Man had been hospitalized due to the gunshot wound. Once Spider-Man's identity was revealed in the papers, members of the Silvermane Maggia family blasted the home of May Parker, killing her. In response to this, Captain America, the Human Torch, and Hawkeye visited the New York mayor to discuss what to do about it, only to have the mayor present them with a president request for them to stay out of it. Despite the request, some superheroes such as Cloak and Dagger attacked the Punisher anyway, with Dagger managing to hit Punisher with one of her light daggers. To escape the duo, the Punisher dove into the river and faked his death by reaching a hidden air tank he had planted there in case of such an emergency. While the Punisher laid low, numerous city officials resigned due to the story that Ben Urich had wrote and Urich was given a bodyguard when he visited Peter Parker in the hospital. Following the hospital visit, Urich's bodyguard was gunned down outside with the same being done to Urich himself, prompting the mayor of New York to resign. Not long after, the Punisher managed to find a small Maggia hideout headed up by Caesar Cicero, only to discover that the Maggia was leaving New York in light of its ties to the government being exposed. Realizing that all of the recent violence in the city was connected, the Punisher watched as Theodore Mason was elected the new mayor. His watch was interrupted by the arrival of a crazed Peter Parker who blamed the death of his aunt on the Punisher. As Mason gave a speech, the Punisher and Peter Parker violently battled one other until the Punisher was forced to gun him down. By the time the Punisher finally made his way to Mason, the new mayor was speaking with the Kingpin over his recent victory. The Punisher congratulated the Kingpin and Mason on their newly-found political power and tried to stab the Kingpin, only to have the Kingpin easily choke him to death due to the injuries the Punisher had suffered during his battle with Peter Parker. As the Punisher died, he mentioned that he always had a backup plan and as Mason asked what he meant by that, the Kingpin discovered a suitcase inscribed with the words "Kingpin-If you're reading this, I didn't make it back to disarm it. Good luck." The Kingpin's offices then exploded, killing the Kingpin and Ted Mason along with it. Comments: Created by Kurt Busiek and Luke McDonnell. 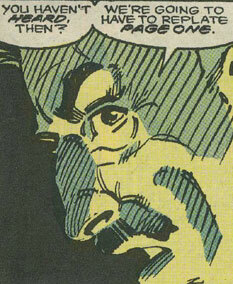 This reality diverged from the events seen in Daredevil I#183 (June, 1982). Becky was a secretary to Foggy Nelson and Matt Murdock. Following the death of Matt Murdock as Daredevil, Becky was shocked at Matt's double life. 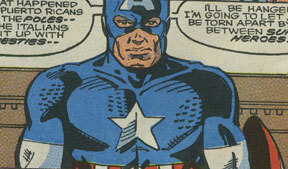 Captain America was the same as his Earth-616 counterpart up until the death of Spider-Man's Aunt May as a result of Spider-Man's identity being revealed. He, along with Hawkeye and the Human Torch, met with the New York mayor who presented them all with a presidential request to stay out of the city's fight against the Punisher. As much as he didn't like it, Captain America agreed to do with the president asked, commenting to Hawkeye and the Human Torch that there were plenty of superheroes in New York that they couldn't contact. He presumably had the same peak human physical attributes and longevity that his Earth-616 counterpart had. Case was a low-level criminal working for the Kingpin. He was able to discover the identity of Daredevil from the local morgue after Daredevil was killed by the Punisher. Case immediately left to tell the Kingpin, who was very interested in such information. Caesar Cicero was the acting head of the Silvermane family of the Maggia in Silvermane's absence. Once Ben Urich had outed many city officials' ties to organized crime, Cicero packed up the Silvermane family and prepared to leave New York, explaining to the Punisher that it was all part of a grand scheme and he was getting out of it. Cloak was the same as his Earth-616 counterpart up until Spider-Man's identity was revealed to the public. Following the death of Spider-Man's Aunt May as a result, Cloak and Dagger confronted the Punisher and after a brief battle, thought they had killed him when Dagger hit the Punisher with one of her light knives. Thinking him dead, Cloak and Dagger left the scene. 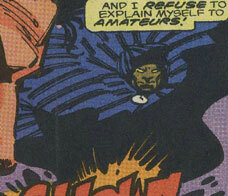 Cloak had the same Darkforce manipulating powers as his Earth-616 counterpart. Dagger was the same as her 616 counterpart up until she and Cloak confronted the Punisher about his murder of Daredevil and injury of Spider-Man. During their battle with Punisher, Dagger hit him with a light knife, causing him to fall into river. After waiting a few minutes, Cloak and Dagger deduced that the Punisher must be dead, not realizing that the Punisher had faked his own death. 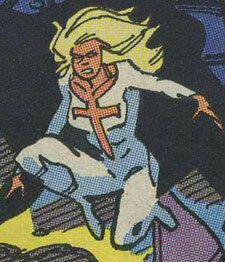 Dagger had the same light-manipulating abilities as her 616 counterpart. Daredevil was the same as his Earth-616 counterpart up until he confronted the Punisher while he was interrogating a junkie. To get Daredevil out of his way, the Punisher shot him with a tranquilizer, inadvertedly causing Daredevil to stumble and fall off the rooftop to his death. Following his death, Daredevil's identity was revealed to the public as Matt Murdock. Daredevil presumably had the same heightened senses and radar sense as his Earth-616 counterpart. Flint was a right-hand man of the Kingpin, who informed the Kingpin of their recent victory over the Silvermane family of the Maggia due to the interference of Spider-Man, Cloak, and Dagger. Flint was present when Case arrived and revealed what he had discovered following Daredevil's death. 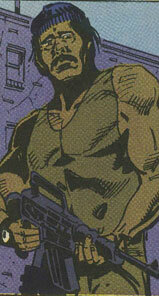 Gelb was a low-level guard for the Silvermane family of the Maggia. When the Punisher confronted Caesar Cicero, he killed Gelb, who was on guard outside the building. Hawkeye was the same as his Earth-616 counterpart up until the Punisher killed Daredevil. Following the Punisher's injury of Spider-Man, Hawkeye visited the New York mayor with Captain America and the Human Torch where they were all requested by the president to stay out of the hunt for the Punisher. An angry Hawkeye complained about their lack of involvement as the trio of superheroes left the office. Hawkeye was the same as his Earth-616 counterpart, having great skills in archery. The Human Torch was the same as his 616 counterpart up until the Punisher killed Daredevil. He, along with Hawkeye and Captain America, visited the New York mayor to discuss what needed to be done, only to have the mayor present them with a president request to stay out of it. Human Torch presumably had the same fire-manipulating powers that his Earth-616 counterpart had. 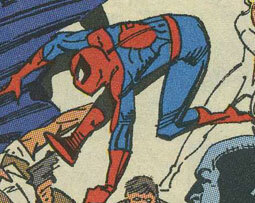 J. Jonah Jameson was the same as his 616 counterpart until Spider-Man's identity was revealed following a hospitalization due to a gunshot wound. Jonah immediately replaced the Daily Bugle's normal page one with a front page revealing Spider-Man's identity and blamed himself for not realizing the identity sooner. The Kingpin was the same as his Earth-616 counterpart up until Daredevil was killed by the Punisher and he was informed of Daredevil's identity by one of his goons. 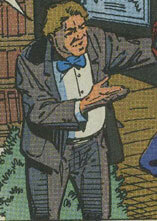 Using the information, the Kingpin allowed for Foggy Nelson to gain knowledge of the Maggia's ties to city officials, which Nelson immediately presented to Ben Urich, who ran the story in the papers. With the Maggia's ties to the government cut, the Kingpin had one of his agents, Ted Mason, elected as the new mayor following the old mayor's resignation in light of the Punisher's rampage through the city. When the Punisher finally confronted Mason and the Kingpin about their role in the recent Gang Wars, the Kingpin was easily able to choke the Punisher to death. He soon found out that the Punisher had left a bomb in his offices, however, which exploded following the Punisher's death, killing both Mason and the Kingpin. 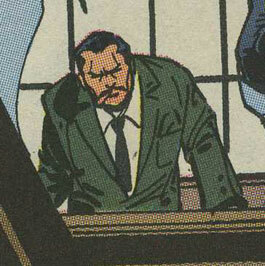 The Kingpin, like his Earth-616 counterpart, had above average strength and durability due to his size. Theodore "Ted" Mason made a name for himself a clean politician as the Manhattan Borough President and was elected to head up the probe into the activities of New York's city councilmen following the outing of their ties to organized crime. Mason was secretly working with the Kingpin to gain political power and using his role in the city government scandals, Mason had Ben Urich and his bodyguard killed and arranged to have himself elected as the new mayor when the old one resigned. Celebrating his new position, Mason spoke with the Kingpin when the Punisher arrived and congratulated them, having discovered the Kingpin's role in the recent Gang Wars. The Kingpin managed to choke the Punisher to death, but the Punisher had left a bomb in the building which exploded, killing both Mason and the Kingpin. Foggy Nelson was Matt Murdock's law partner and was shocked when Daredevil was killed by the Punisher and revealed as Matt. Taking advantage of Nelson's grief, the Kingpin arranged for Nelson to come into the possession of numerous documents linking New York city councilmen to the Maggia. 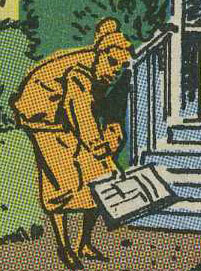 Nelson presented the evidence to reporter Ben Urich, who wrote a story about it in the next day's papers. 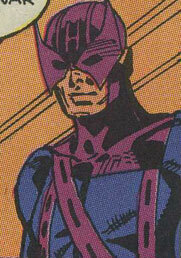 Pachter was a member of the Silvermane family of the Maggia and acted as a guard for acting head Caesar Cicero. When the Punisher confronted Cicero, he easily killed both Pachter and the second guard, Gelb. May Parker was the same as her Earth-616 counterpart up until Spider-Man's identity was revealed to the public following a hospitalization. To retaliate for their numerous defeats at the hands of Spider-Man, the Silvermane family of the Maggia attacked May's home with a rocket launcher, killing May inside and destroying her home. The Punisher was the same as his Earth-616 counterpart up until he accidentally killed Daredevil when Daredevil intervened during one of the Punisher's lethal interrogations. 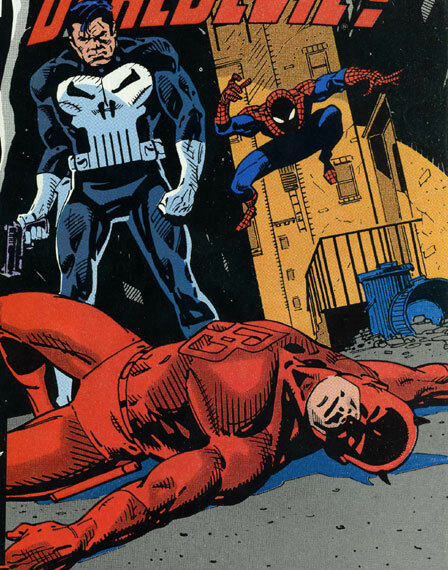 Following Daredevil's death, Spider-Man began hounding the Punisher, interrupting numerous investigations until the Punisher shot Spider-Man in the shoulder, forcing him to leave to get medical attention. Once Spider-Man's identity was revealed and his aunt killed, Peter Parker attacked the Punisher and nearly killed him, until the Punisher was forced to gun down Peter to save his own life. Eventually realizing that the everything that had been happening to him was all part of a larger plan, the Punisher confronted the Kingpin and congratulated him on his recent victory at getting Ted Mason elected mayor. The Kingpin managed to choke the Punisher to death, not realizing until it was too late that the Punisher had left a bomb in the office. The Punisher had the same skills as 616 counterpart, including superior marksmanship, military training, and a huge arsenal of weaponry. Joe Robertson was the same as his Earth-616 counterpart up until Ben Urich presented him with the evidence linking city officials to organized crime. 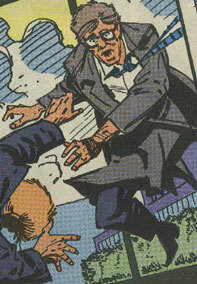 Joe had Urich talk to Jonah, who revealed that Spider-Man's identity had been revealed following a hospitalization. Spider-Man was the same as his 616 counterpart up until Daredevil was killed by the Punisher. Feeling somewhat responsible for not stopping the Punisher before then, Spider-Man began hunting the Punisher, interrupting many of criminal hunts. The Punisher eventually shot Spider-Man in the shoulder, forcing him to leave for medical attention, but Spider-Man passed out without making it to the hospital and was found by city locals. Taken to a hospital, Spider-Man's identity was revealed to the public by J. Jonah Jameson in the Daily Bugle and Spider-Man's aunt was killed as retaliation for stopping the Maggia in the past. 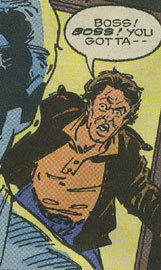 In revenge, a crazed Peter Parker savagely attacked the Punisher, who was forced to gun down Peter to save his own life. Spider-Man had the same superhuman strength, agility, and spider-sense that his 616 counterpart had. Ugol was the right-hand man to Caesar Cicero, acting head of the Silvermane family of the Maggia. He was present when the Punisher confronted Cicero and discovered the Kingpin's role in recent events. Ben Urich was the same as his 616 counterpart up until Foggy Nelson gave him evidence that linked city officials to organized crime. Writing a story about it, Urich was given a bodyguard in case the organized crime retaliated. Soon after he visited Peter Parker in the hospital, Urich's bodyguard was gunned down and Urich himself was killed moments later.